19 Sep 2017 --- A team of young researchers will examine a possible link between acrylamide and obesity, diabetes and fertility, thanks to a grant from the European Research Council (ERC). Investigating the possible health risks associated with acrylamide is the objective of the ERC Starting Grant, which has been awarded to young researchers at the University of Copenhagen. The grant will allow the young researchers to focus even more on their already promising careers. The acrylamide project has been awarded DKK 11 million (US$1.3 million), which will initially fund a research team due to work on the study over the next five years. The grant gives the “career scientists” a unique opportunity to delve deeper into their research projects, according to the University of Copenhagen. In addition to the acrylamide funding, four other university projects were also awarded other ERC grants. “Five ERC Starting Grants for the University of Copenhagen is extremely satisfactory and testifies to the fact that we have a large talent base, which is also appreciated in the rest of Europe. It bodes well for the future,” says Thomas Bjørnholm, Prorector for Research and Innovation at the University of Copenhagen. The presence of acrylamide in food is considered a public health concern by the European Food Safety Authority (EFSA) as it increases the risk of developing cancer, and exposing babies and young children to the chemical compound is particularly concerning. 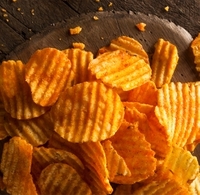 Acrylamide has been in the spotlight several times this year. Analysis conducted by the Changing Markets Foundation reviewed the results of almost 9,000 laboratory tests conducted in Europe during 2015 in connection with levels of acrylamide in food, particularly in relation to babies and children. It says that unpublished EFSA data shows a lot of food products exceed benchmark levels for carcinogenic content. According to the organization, one in fourteen food products tested in Europe in 2015 had dangerously high levels of acrylamide. And earlier this year, the Changing Markets Foundation also said that ten percent of biscuits for infants and young children on sale in the UK had high levels of acrylamide. Acrylamide Grant Funding European Research Council University Of Copenhagen Young Scientists.